Manufacturer of a wide range of products which include velcro pad. Appreciated as first among the best, we provide the best grade of Velcro Pad, which is available with us in various technical specifications. Known for their high functionality and enhanced serving life, the Hook and Loop Pads are precisely fabricated by using modern machinery. 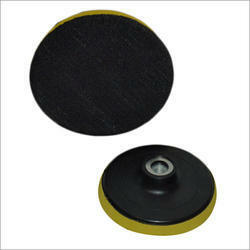 Our customers can avail the Hook and Loop Pad in various technical specifications.